Bergkvist, Bergkvist & Carter is a general litigation law firm emphasizing real estate, business, estate planning, and probate matters. 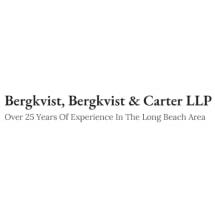 Senior partner Carl M. Bergkvist has practiced in Long Beach for over 25 years, with experience in both individual and business clientele. The firm's individual clients frequently seek representation as sellers, purchasers, owners, or lessees of real property. Corporate clients include large mortgage companies, real estate brokerages and agents, escrow companies, and numerous other entities from the business world. The firm is also known for effectively representing clients in contract negotiations and disputes. In addition to business matters, the law firm has over 20 years experience in probate matters including conservatorships, probate administration, estate planning, wills and trusts, estate litigation and will contests.